The Divemaster Course is the gateway into becoming a professional diver and it is a unique experience to complete this in one of the best diving locations in the world: Komodo! 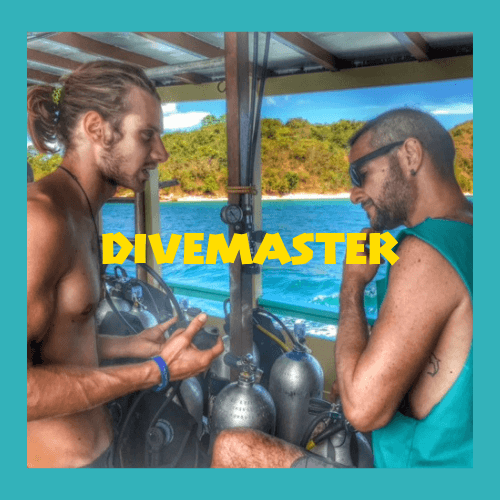 When investing in becoming a Divemaster, obviously, you want to choose the best! You also want to select the one that will give you the most experience to get the most out of your training. Learning to become a divemaster in Komodo will present many different challenges and situations which will give you extensive and valuable experience which will stay with you for life. 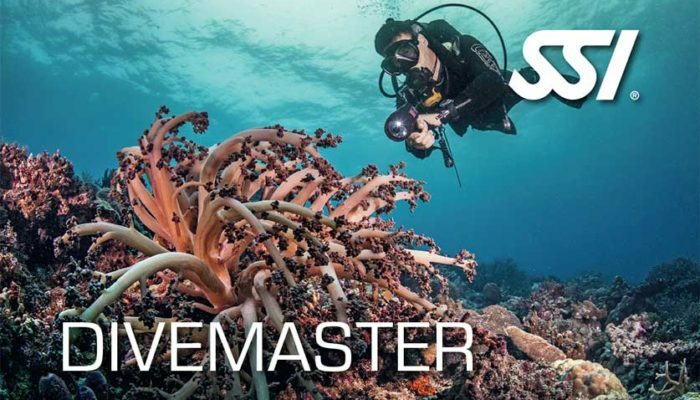 You know what they say “if you can dive in Komodo, you can dive anywhere!” We say “if you get your Divemaster in Komodo, working in diving anywhere else will be a doddle!”. 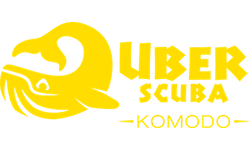 So that’s why you should choose Komodo, but why should you choose Uber Scuba? At Uber Scuba we provide a supreme program lead by highly experienced professionals in a serious yet fun, friendly and safe environment. Our two large and comfortable daily boats, KLM Iona & KLM Karina were built and designed to our own spec with divers comfort in mind. Foodie? Hot, freshly-cooked yummy food is served onboard to keep you and our happy customers fueled for your dives. We have one of the best reputations for our “safety-first approach” – come on, you’ve heard about the currents in Komodo, right? Uber Scuba comprises a multi-lingual team of both locals and internationals who are incredibly passionate, extremely talented and super fun. What more do you need? Speak to us today and enrol in what is going to be one of the best experiences of your life. 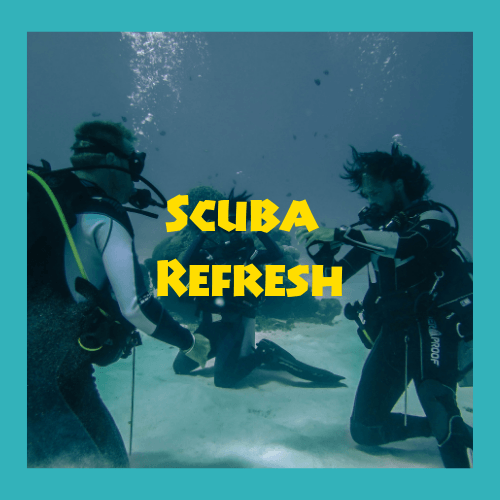 Over the course of 6 weeks, you will be introduced to a series of challenges, including rescue scenarios, assisting courses from Discover Scuba Diving right through to Diver Stress & Rescue, mapping dive sites, and mastering how to guide divers. You will also learn about the dive sites and how to read water conditions, navigation skills and how a daily dive operation works. You will complete a series of skill circuits and at the end of the course, you will partake in what is commonly known as the “Stress Test” or equipment exchange. Then, the final step in your DMT journey will be the “Snorkel Test”. You will find out more about this right of passage later on in the program. You will be paired with a professional and experienced Instructor as your mentor for the duration of the program to guide you through. 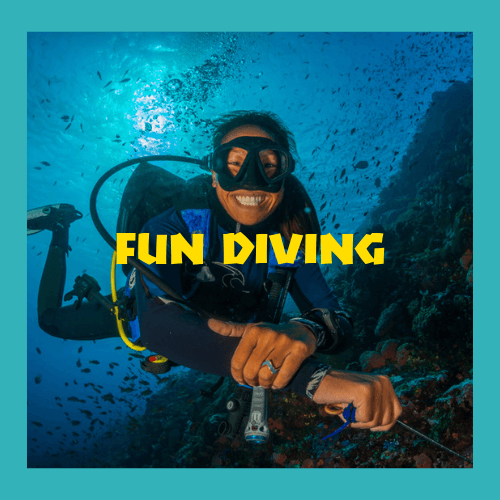 However, you will assist different instructors and divemasters throughout your time with us, giving you the opportunity to learn from a variety of our talented guides, all who have a range of different experiences. Pick their brains and soak up as much information as you can. In order to retain quality education for our Divemaster candidates, we take on a maximum of 4 Divemaster trainees at any one time. Places are on a first come, first serve basis. 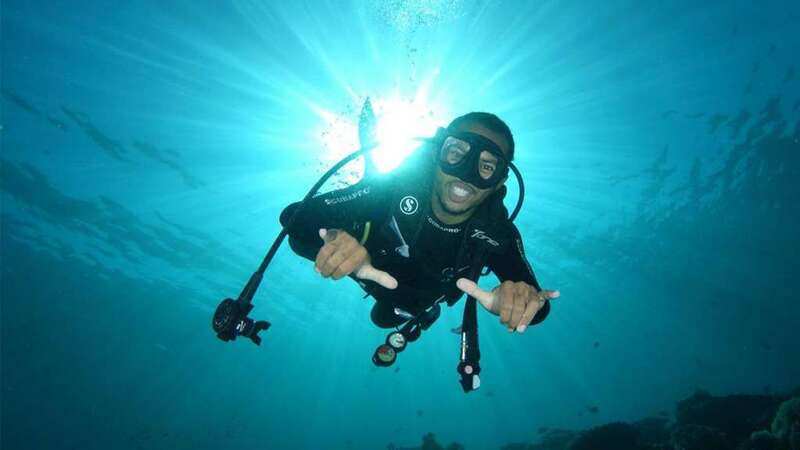 Our Divemaster program is a paid program and we do not take on any internships. For full information, we ask that you contact us directly on dive@uberscubakomodo.com and we can send you more information. Don’t have the React Right or Diver Stress and Rescue certifications yet? Not to worry. You can complete these with us too.